That said, Boots do sell quite a few of these, so it must work to some extent. you need to first warm the mouth trays and then put over the teeth, these will make a mould of the users teeth. Once cool and firm, users should brush their teeth using the special toothpaste supplied with the kit, and then apply accelerator fluid using the applicator. User should then coat the inside of the formed dental tray with whitening gel. These are then fitted to the teeth for between 10 and twenty minutes. This hould be repeated twice a day for two weeks. When finished, any residual gel should be brushed away. The expert felt that the particular trays supplied with these kits were not that great, they felt that would be difficult to make a close-fitting mould with these trays. They felt that the gel could leak out and possibly cause damage to the tooth enamel, and cause sensitivity. We must stress That this was the view of the Daily Mail expert employed to review the products. 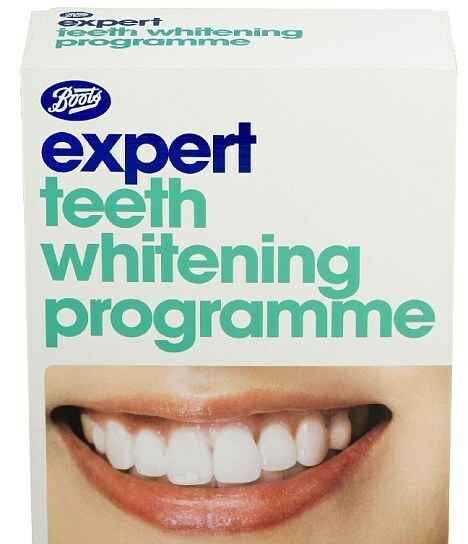 The juries out on this one, The fact is that Boots sell a lot of these kits so they must have some beneficial results. Another product to consider is the one sold by Smile4you, their kit was also tested in the same article and actually achieved the highest mark of all tested at 7 out of 10.